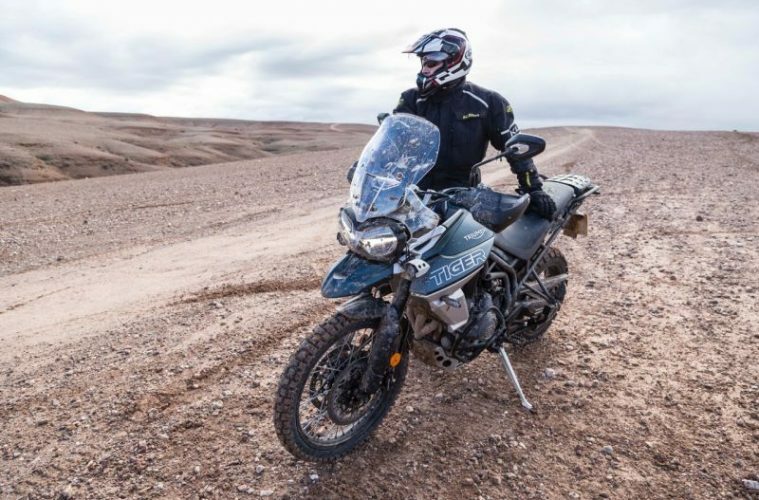 Whether you’re setting off on the two-wheeled overlanding trip of a lifetime, touring the twisties in Scotland for the weekend, or heading out on a thrilling ride out with mates for the day, there are some things that all of us adventure bike riders simply can’t live without. But what are they? I hear you ask. When it comes to adventure, there are many different tyres that you can choose from, depending on the type of exploring you intend to do on your two-wheeled machine, but we’ve picked three of our favourites. So, first off, we have adventure riding that takes place on the gnarly off-road terrain, and for this we need proper knobbly tyres for grip. 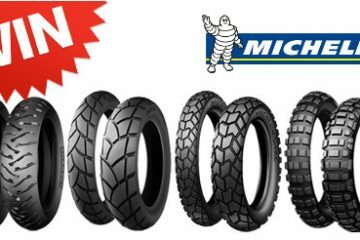 The Michelin Anakee Wild tyres are are great option for hitting the trails, as they offer exceptional stability and comfort thanks an optimised tyre thread depth. Next up, we have alpine adventures that take place on the tarmac of epic mountain passes. 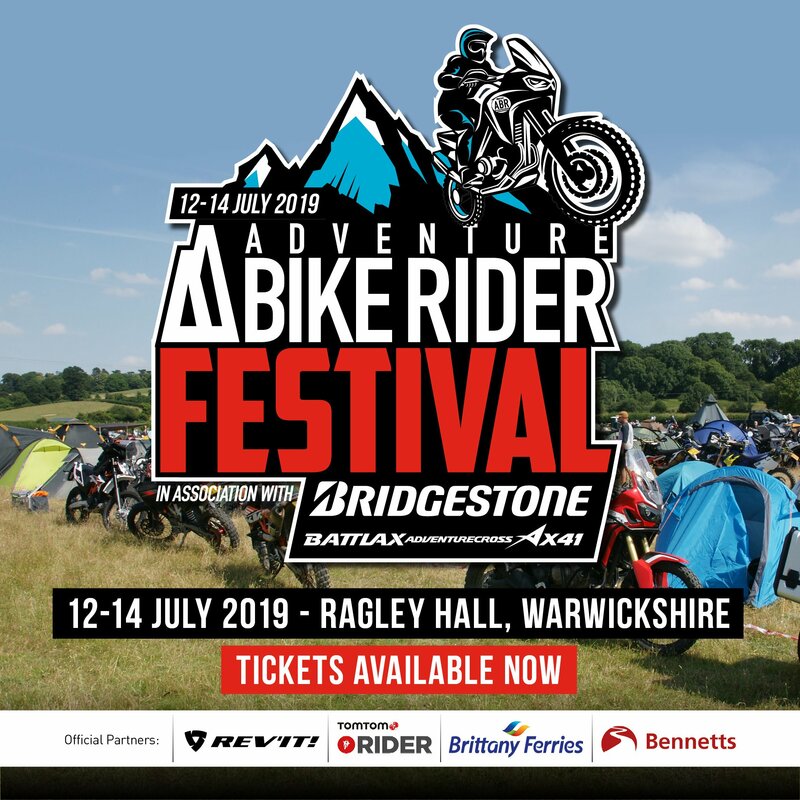 Now, for this we need tyres that offer next-level grip in all weather conditions, and in our opinion, the Bridgestone Battlax A41 tyres are one of the best options for this. These tyres benefit from the feeling of ultimate handling and grip feel, as they upgrade the contact with the road, giving you the confidence to tackle the most incredible corners. Finally, we have those adventures that sit somewhere in the middle as we’ll find ourselves dealing with mixed terrain, such as the incredible military roads of the Alps. So, for times like these, you’ll need tyres that will perform well both on and off-road. 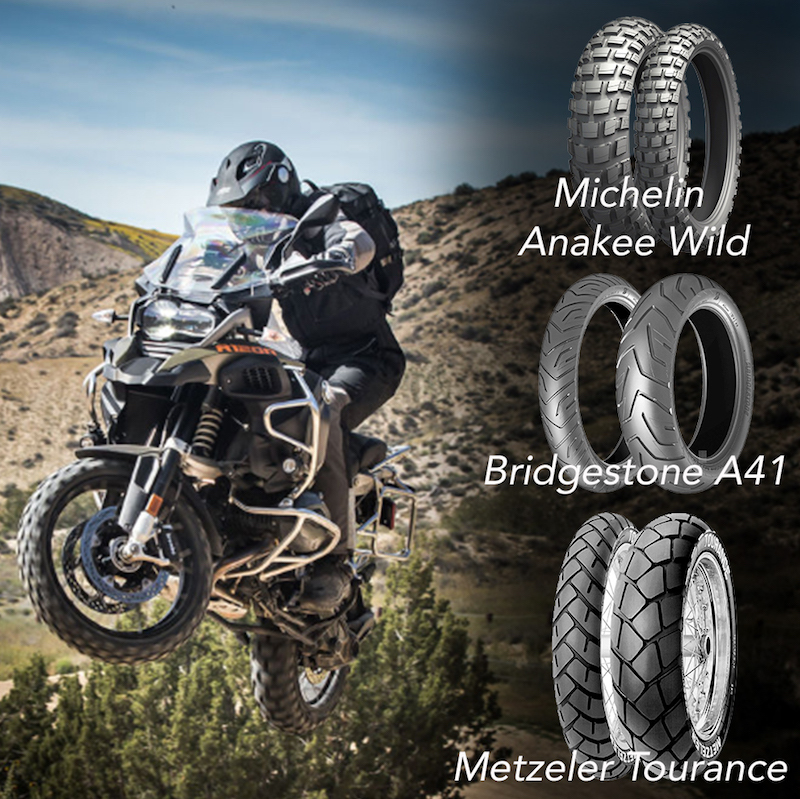 The Metzeler Tourance tyres are a great option as the specific rubber compound offers maximum milage on the road while giving great traction on light off-road terrain. Not all adventures involve tackling the dirt, and when it comes to munching up the miles on your adventure beast, you need road tyres that can handle well in both the wet stuff and the dry, and finding the right balance between longevity and grip can often prove a bit of a head scratcher. In these conditions, we need a tyre that is going to offer excellent grip and durability, we also need a reliable braking distance and a good level of water displacement to keep ourselves safe on the road. 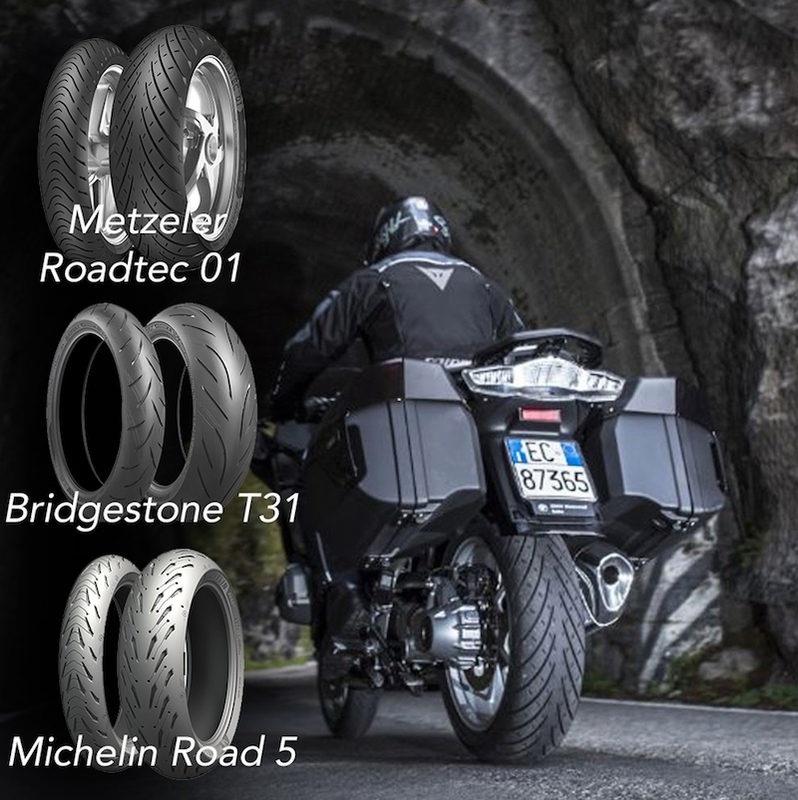 When it comes to finding tyres that can keep up with the adventure, we found that three of the best on the market at the moment are the Metzeler Roadtec 01 tyre which offers a high degree of adaptability to different conditions, the Bridgestone Battlax T31 tyre, which offers a high cornering grip to enhance safety in unpredictable weather, and the Michelin Road 5 tyre, that the company says even when 50% worn, still offers excellent grip in the wet. 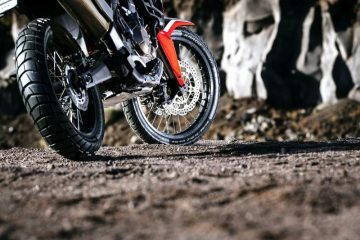 No matter how big or small, before setting off on any adventure bike riding adventure, you need to make sure that your adventure bike’s chain is well lubricated, unless you’ve got one of those fancy shaft drives. Why? Because if you haven’t lubed up around every 300 to 500 miles, then your chain and sprockets can wear out up to three times faster, and you definitely don’t want to be forking out lots of cash on replacing these when it can be easily avoided. You’ll need to make sure you clean your chain before lubing it up, then while your bike it on its stand, spray an even amount of lubricant onto the chain while rotating the rear wheel. There are more motorcycle chain lubes than you can get your head around, but if you want to take the hassle out of chain maintenance, you’ll want to check out the Scottoiler E System or the Scottoiler V System. The E System kit is an electronically pumped chain oiler, which automatically lubes your chain while you ride, and the V System is a vacuum operated chain oiler, which also automatically lubes your chain while you ride. 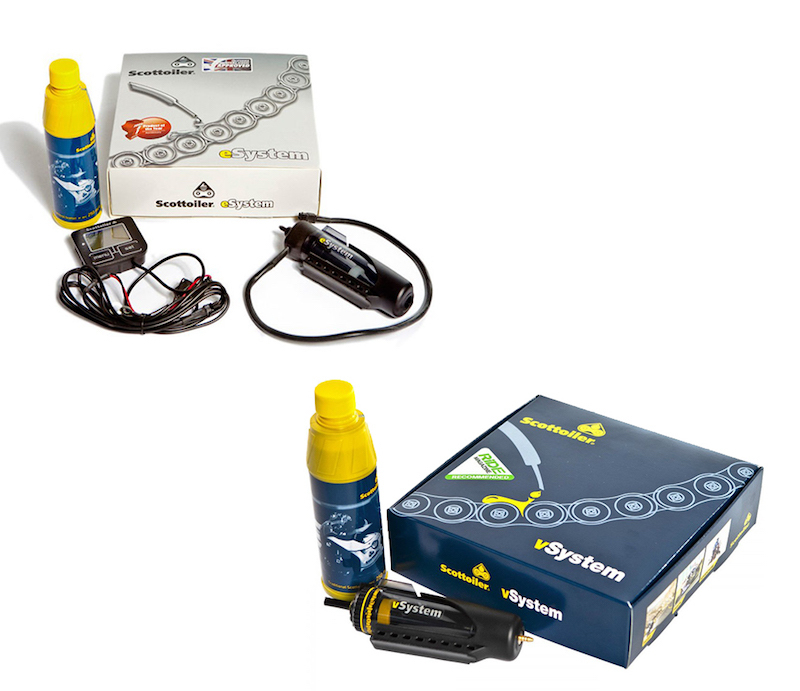 Both kits can significantly reduce the need for motorcycle chain maintenance, meaning more time for riding. Happy days! When you’re heading on an adventure there’s always a possibility of rain, so you need to keep your stuff safe and, most importantly, dry. Instead of wasting your hard earned cash on a load of different dry bags to put in your panniers, why not keep everything dry with luggage that is waterproof itself? 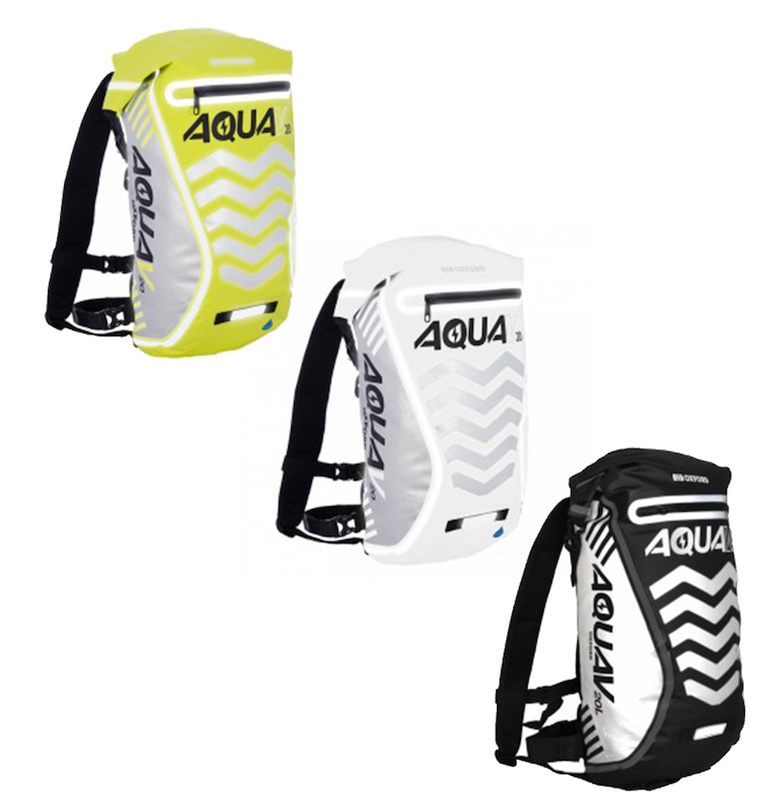 The Aqua V20 backpack from Oxford Products is a great choice, as it features a waterproof roll top (just as a normal dry bag does), and an external waterproof zipped pocked, which is super handy for keeping the items that you’ll need to easily reach, such as your wallet, keys, phone etc. Not only is it waterproof, but the hip belt and shoulder straps are adjustable and padded, which makes it comfortable to wear, too. The last thing you need on any motorcycle adventure is for your pride and joy to go walkies after you’ve parked it up at a restaurant, hotel, camp site etc. You need on-the-go motorcycle security that isn’t going to take up shed loads of room in your luggage. Enter the Screamer. Yep, you guessed it, if some rotten thief tries to have off with your two wheeled beauty, then this alarm is going to let you know about it (and everyone else for that matter). The Oxford Products Screamer XA7 Alarm disc lock offers an alarm of 100dB, a 7mm lock pin, motion and shock sensors, a long life lithium battery and a water resistant keyway cover. Not only this, but you can part with your machine happy in the knowledge that if somebody tried to nab it, you’ll certainly be informed. 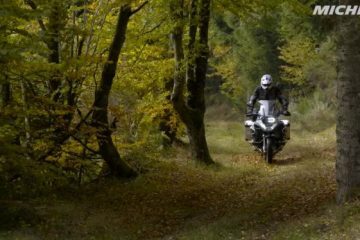 In need of one of these essential adventure bike rider items? 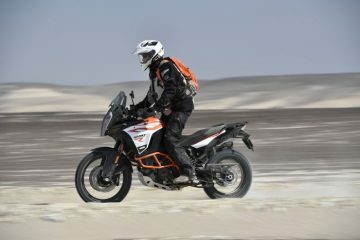 All the adventure bike items we have listed above are available via the Bike Speed UK website, along with further product details and information. Bike Speed UK is a great place to go for all of your adventure bike parts and accessory needs, in fact, they stock everything you’ll need to keep your motorcycle in tip top condition. Not only this, but they offer quality customer service, a cracking delivery service that you can rely on, and a team with a wealth of experience and knowledge that are happy to answer any of your questions. 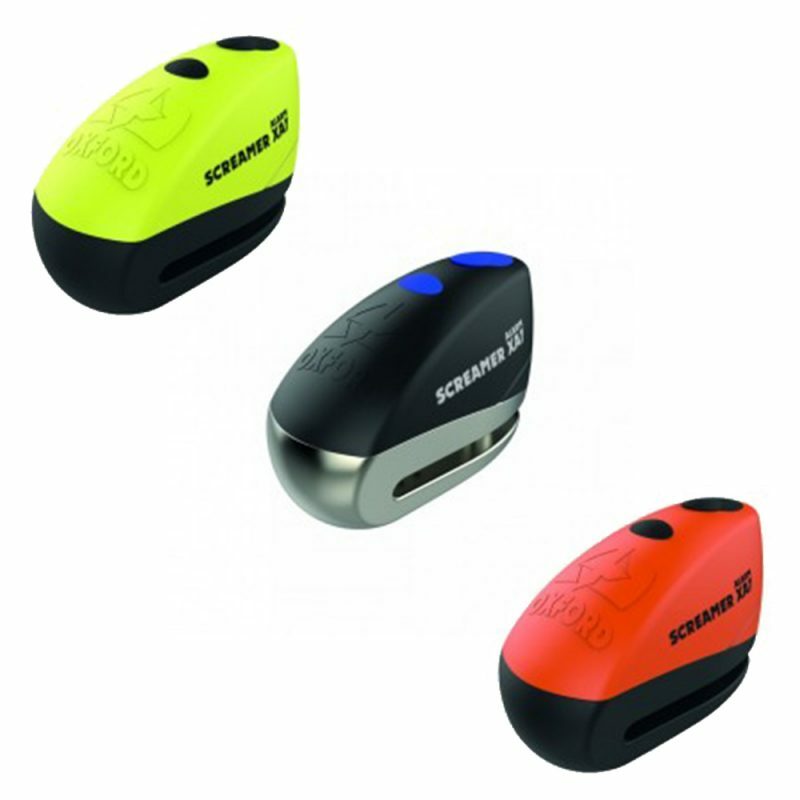 Head over to the Bike Speed UK website to browse the company’s extensive range.